You are currently browsing the tag archive for the ‘NXG’ tag. How does Simmons build on its unique pocket coil technology? On top! The NXG series combines pocket coil construction with advanced memory foam for a firm, yet responsive sleep. The coils ensure undisturbed rest and individual attention. 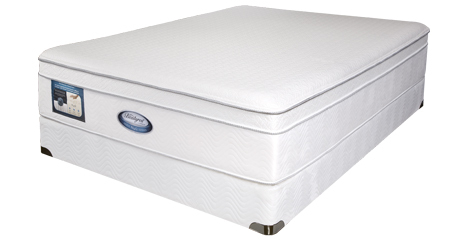 The memory foam creates a smooth top layer that has an aesthetic appeal. The foam also dissipates heat and recovers quickly to your movements in the night. The combination of these two features supplies unparalleled comfort, style and responsiveness. Try it yourself today, at a Simmons Mattress Gallery.